WBBL semi finals – get to Drummoyne Oval! The WBBL semi-finals are upon us and tomorrow the Brisbane Heat will play the Sydney Thunder followed by the Melbourne Renegades taking on the reigning champions, the Sydney Sixers at Drummoyne Oval. The winners of each game will meet in the final next Saturday at either Allan Border Field or Drummoyne Oval (depending on which teams are successful on Saturday). This WBBL finals series is significant in the history of the tournament given that it will be the first time that stand-alone semi-finals have been held. In the past, first on the WBBL ladder enjoyed no real advantage in finishing first (other than glory) given that the location of the semi-finals was always based on where the equivalent BBL game was happening. But this year, Cricket Australia have taken a significant step forward in recognising the women’s game by having a stand-alone finals series and my hope is that the fans follow with their feet and with their eyes. Prior to this season, many of us had been calling for a WBBL stand-alone finals series for some time. It seemed unfair that the location of the WBBL finals was dictated by the location of the BBL. Even more frustrating was the time delay we have grown accustomed to having to deal with when a men’s game follows a women’s game. Interestingly this time delay does not apply when a women’s game follows a men’s game or when a women’s game follows a women’s game, with only a 25 minute gap between the two games on Saturday. This two-hour gap between the two games usually means the crowd for the women’s game is small and that despite the quality of cricket, unsurprisingly not enough people get there five hours before the men’s game to watch. Stand-alone finals gives the women the opportunity to not only play in front of a home crowd, giving the first placed team a distinct advantage, but it also establishes the women’s finals series as its own significant and worthwhile event. Given the importance of this finals series, on Saturday cricket fans in Sydney have a responsibility to get out to Drummoyne Oval and send a clear message to Cricket Australia that their investment and faith in the women’s game has been worthwhile. The clearest way to send a message is by either attending the game or tuning in on television. In Sydney, a regular complaint by residents is how expensive the city is to live in. With adult tickets at $10 and children getting free entry, there really are no excuses (especially when both Sydney teams are in action). The Sydney Sixers will go in as favourites against the dark horse in this finals series, being the Melbourne Renegades. 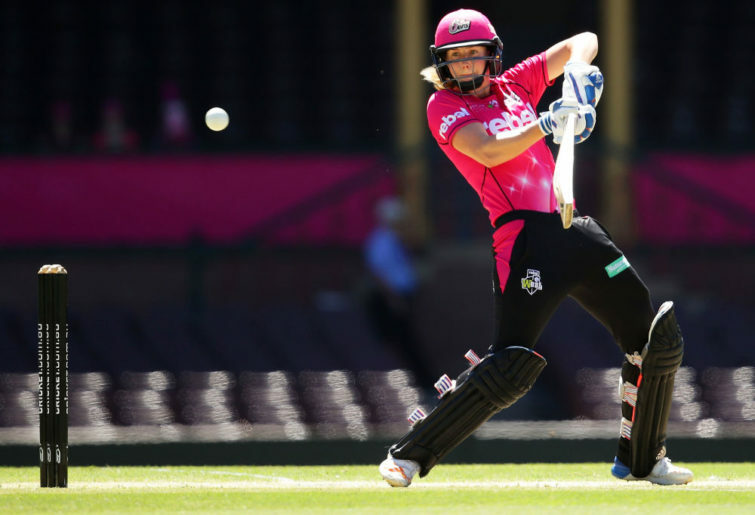 Despite the Sixers dominance this summer, their dominance with the bat has largely been the result of the efforts of Ellyse Perry who, has scored 690 runs this summer including two centuries. That is the most number of runs ever scored in a WBBL season and additionally, Ellyse also became the first player in BBL/WBBL history to surpass 2000 runs earlier this season. Truth be told, Ellyse has been the most dominant batter for the Sixers (followed by Alyssa who has scored 426 runs) and if the Renegades can get her and Alyssa out cheaply on Saturday this will go a long way towards securing victory. Perhaps given the dominance of Ellyse, Alyssa and on occasion Ashleigh Gardner, the Sixers middle order have not had as much time to bad this summer and have at times, struggled (like we saw in their final game of the season where the Stars managed to dismiss the Sixers for 92 runs). Given the strength of the Sixers batting, this should be an exciting contest given that the Renegades greatest strength is their bowlers, particularly Molly Strano who at 19 wickets, has taken the second most number of wickets in the competition this year. The Renegades also have Georgia Wareham who at 5.91 boasts the third best economy rate in the competition as well as Sophie Molineaux. I’m tipping the Sixers here, but it’s been a remarkable season from the Renegades who, with this finals appearance, become the first Melbourne team to feature in the WBBL finals. Then onto the game between the Thunder and the Heat. In past seasons, my main criticism of the Heat has been that they have been inconsistent. They had only been able to beat teams once, which was not enough for them to feature in the finals. But this summer has been different – Grace Harris has been exceptionally entertaining with the bat, scoring 356 runs (including a century) and Sammy Jo-Johnson coming in at three with a remit to just have a crack has also worked effectively. Beth Mooney has also found form at the right end of the season, finishing the regular season with 102 against the Thunder. The Thunder have been consistent through the summer, but what I enjoy most about this team is that they don’t seem to rely on one player. At points through the season the batting efforts of Naomi Stalenberg, Nicola Carey, Alex Blackwell, Rachael Haynes and Rachel Priest have helped the Thunder secure victory. It’s a clear demonstration of just how deep their batting order goes and is a reason they have been so dominant through the summer. I’m tipping the Thunder for this game, but this could be my bias as a Sydney based fan. The Heat have certainly found form at the right point of the season so I think regardless it will be close. I hope to see plenty of you at Drummoyne Oval tomorrow. 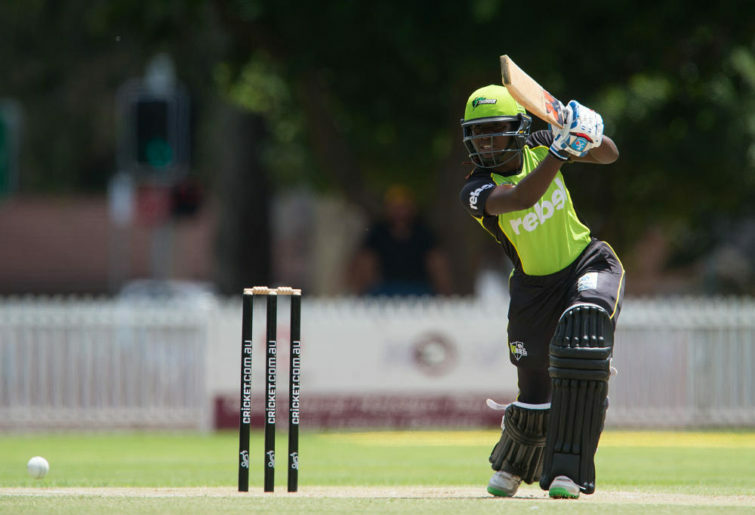 Bookmark this article WBBL semi finals – get to Drummoyne Oval!